So I finally got around to putting up some photos from the performance of Letters to Mozart in Steamboat Springs, Colorado. Check them out in the Show section. 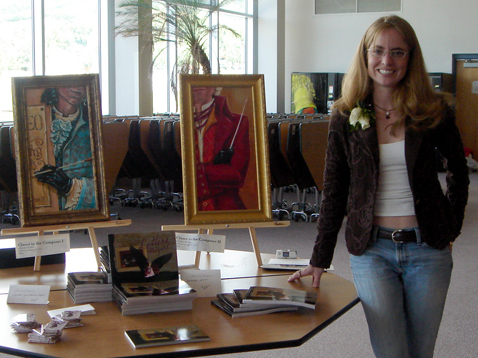 This is me with some of my paintings and books before the second performance on Sunday, 6 August 2006.